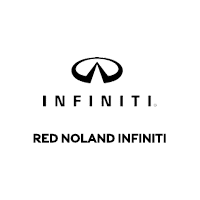 The team at Red Noland INFINITI would like to welcome you to our INFINITI dealership serving the Colorado Springs, Fountain, and Pueblo, CO area. We are confident you will find the vehicles you’re looking for at a price you can afford. Come and check out our full selection of new INFINITI cars and SUVs, certified INFINITI cars and SUVs, or get a great deal on a reliable pre-owned model. No matter which vehicle you decide on, our professional finance team will help you get settled with a competitive financing or lease plan. Our selection of new models includes several incredible cars like the Q50 sedan, the Q60 coupe, and the Q70/Q70L sedan. Our crossover SUVs include the QX30, QX50, and QX60. Finally, our full-sized SUV, the QX80 is for sale or for lease in Colorado Springs, Colorado. When you’re looking for quality INFINITI service, maintenance, and repair near Colorado Springs, CO, you can always count on the professional technicians in our INFINITI service department. We handle everything from oil changes and filter replacements to powertrain and drivetrain repairs. Schedule an appointment today, or purchase parts from us to handle maintenance and repairs on your own! Colorado Springs, Colorado is one of the nicest places to live in the country. The city provides more than just a place to live or work, the Springs offers an amazing opportunity to actually enjoy driving! Colorado Springs has a wide range of tourist attractions, along with some incredible roads to drive when you go. Enjoy your trip even more while driving a new or pre-owned INFINITI from Red Noland INFINITI! Our happy customers in the Colorado Springs, CO area love to visit our amazing INFINITI showroom. We look forward to living up to our reputation every day. Stop in and see us today, or contact our staff with any questions!